PHILADELPHIA, March 2, 2017 — A group of state Senate Democrats will soon introduce legislation that would give district attorneys more options to combat vandalism of religious sites, according the measure’s prime-sponsor, state Sen. Sharif Street (D-Philadelphia). Street said the bill would toughen existing law and make technical changes meant to give district attorneys expanded options for combatting vandalism. While various proposals have been introduced in previous legislative sessions, Street said the need for the tougher legislation has become even more relevant following last weekend’s desecration of Philadelphia’s Mt. Carmel Cemetery. 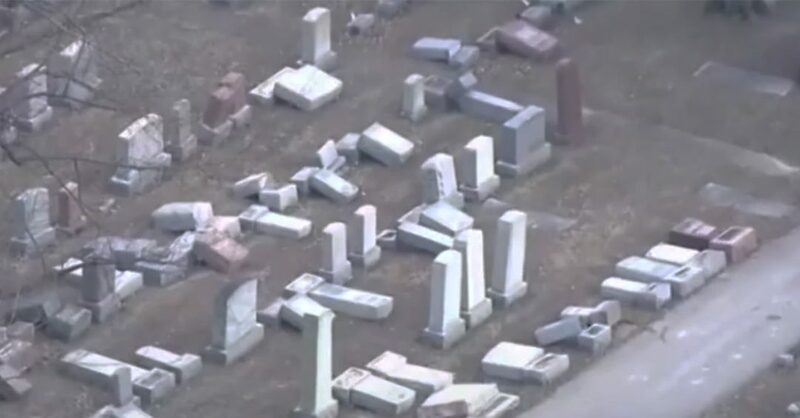 More than 100 headstones were toppled at the Jewish cemetery. “Over the last several months, our nation has witnessed an increased number of threats and vandalism against religious institutions, schools, community centers, and cemeteries. We must stand up against anti-Semitism, Islamophobia, and bigoted acts of vandalism or violence,” Street said. Joining Street, the legislation is being co-sponsored by Sens. Vincent Hughes (D-Philadelphia), Andrew Dinniman (D-Chester), Daylin Leach (D-Montgomery), Judy Schwank (D-Berks) and Christine Tartaglione (D-Philadelphia).